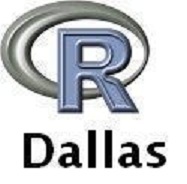 I’ll be presenting at the Dallas R Users Group next Saturday at 10:00AM at the University of Dallas on how to reproduce your R code. We’ll review how to use R scripts, how to embed R code in reproducible documents, and then introduce how to create your own R packages based on your R code. At the end of the afternoon, you’ll be familiar with the entire process of creating an R package to be shared on a repository like CRAN or Bioconductor. No programming background is required – the entire process will be done within RStudio and the R code we’ll be using will be very basic. Attendance is, as always, free and all in the Dallas/Ft. Worth metroplex are welcome! Details and directions can be found on the Meetup page below.